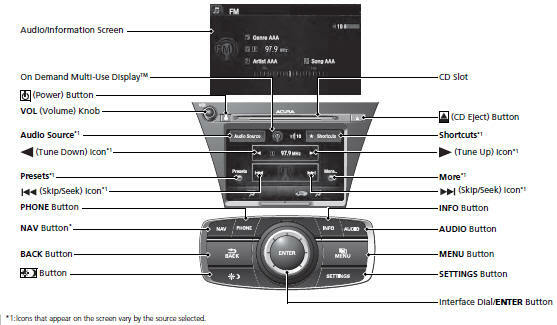 Press and release to change the audio mode: FM/AM/CD/XM®/HDD/USB/iPod®/ Bluetooth® Audio/Pandora®*/AhaTM*/AUX. Roll to adjust the volume up/down. 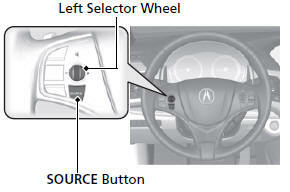 Radio:Move and release to change the preset station. Move and hold to select the next or previous strong station. Move and release to skip to the beginning of the next song or return to the beginning of the current song. Move and hold to change a folder.